It’s full on avalanche season in the Colorado backcountry right now. And, of course, a couple recent slides have been posted on YouTube. 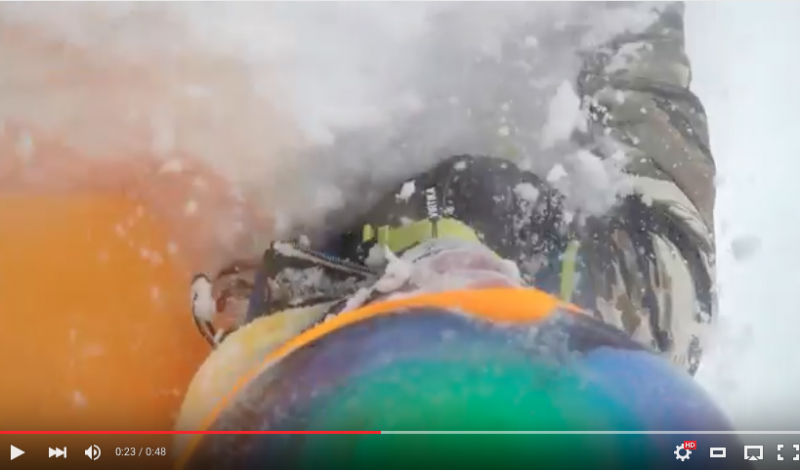 In this POV posted Saturday, a Colorado skier deploys his airbag as a slide captures him and sweeps him off a 50-foot cliff. Be sure and read his insightful narrative on YouTube about the decisions he made and risk in the backcountry.